I am using Really Simple Captcha plugin for my captcha field. I cant get any field pre-rendering to apply? Also how can I get this hook to only apply to my footer form? Any help would be much appreciated, thank you for your time. $_POST is not available in gform_pre_render. Changing that value is not possible and would not work in your case. What is the field which holds the value you want to change? Can you post a link to your form? 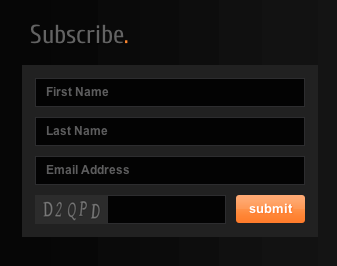 See on a previous website, I used this hook to add a default value to my confirm email field. This worked great. So thought if I used this same hook I could do the same on the captcha input. The form/website is hidden at the mo, can't share. I know how I could do this with jquery but if there was a PHP way of doing it then that would be cool. Any suggestions on this please? I don't know if you can pass a value like that to the Really Simple Captcha plugin and have it work as default. Do you have any documentation on Really Simple Captcha related to setting a default value? In Gravity Forms, on a normal field, I would just ask if you had Allow Populate Dynamically checked in the field settings. OK fair enough I can see what you mean as it is a third party thing. No option for dynamic population so I will just use jQuery - not a problem. This is what I have tried above? I think gravity forms should allow default value on everything. It allows default value on on name field (simple mode). You can't use POST for fields that haven't been loaded yet. And you can set default values on most fields. 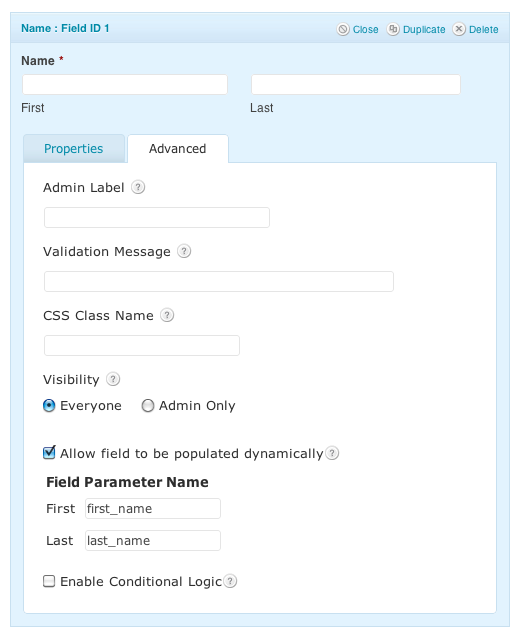 Go to Advanced for any field and most of them should include an option to set a default value from within the form builder. But is not great because the form thinks 'First Name' and 'Last Name' are actual entries if someone submits the form without actually filling it in. Basically the same as how you put the value in, you can test against those values and pass back an error if someone keeps them as the defaults.